Updates the Hopkins Verbal Learning Test-Revised/Brief Visuospatial Memory Test-Revised Software Portfolio (HVLT-R/BVMT-R SP). Corrects the headers in the export file for HVLT-R data. All scores on the Score Report are unchanged. You will need administrator rights to complete the update, as well as the activation serial number used to initially install the HVLT-R/BVMT-R SP. You will need administrator rights to complete the update. Close your existing version of the HVLT-R/BVMT-R SP. Click on the link above and choose to Run the file. At the next dialogue box, again choose to Run the file. The program will uninstall the current version of the HVLT-R/BVMT-R SP software, but leave your current Client files intact. When it is finished, again click on the Download icon and choose Run and Run. This time the software will install the HVLT-R/BVMT-R SP. Follow the instructions on the screen to install and activate the software. Note: If you subsequently uninstall your PAR software and reinstall it on a different computer, you will need to re-install the update. 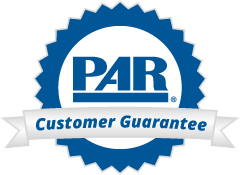 If you experience difficulty updating your program, please contact PAR Technical Support at techsupp@parinc.com or call us at 1.800.899.8378.